We continue reading from John 6: this is the aftermath of the miracle, and we see the beginnings of a misunderstanding that will develop over the next four weeks. People have seen the miracle, but not the message: they have seen the sign, but not what it points towards. 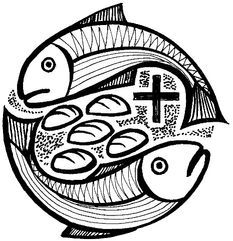 The bread that was given is a sign of the Bread of Life, which is the teaching, the words and the very person of Jesus, as the revelation of the Father. His mission is to draw people back to his Father, to found a New Covenant or relationship. As the weeks go by, we will see that the people's hunger is simply for spectacle and miracle, not for the much harder teaching of living nourished by God's word and the presence of his only Son. For us, the People of the New Covenant, these passages must make us think of how we receive the Lord in the Eucharist. Are we nour­ished by his presence, so that all the hunger and thirst of our lives is answered by the One who is the Bread of Life? The first paragraph is the rather elo­quent complaint of the people ‑ enjoy the graphic imagery (“pans of meat ... bread to our heart's content...”) and underline the dra­matic statement at the end (“...starve this company to death.”) Then change the tone for the quiet word the Lord has with Moses, announc­ing what he will do, and the proclamation to be made to the people. Pause before reading the words “And so it came about.” The description of what happens is very clear and obvious: just read with simi­lar clarity. 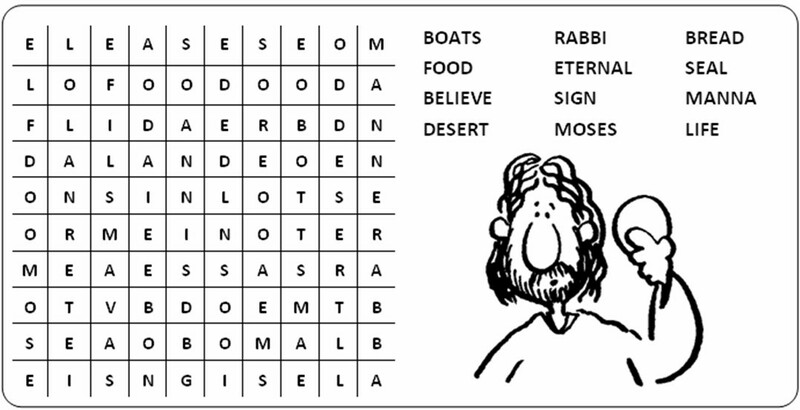 Two delightful points: first the description of the manna as “...a thing deli­cate, powdery, as fine as hoarfrost...”, and then the dialogue between Moses and the peo­ple, with the puzzled question of the peo­ple and Moses’ laconic reply. Enjoy read­ing these details. This is a very powerful reading with a simple basic theme: living in the Church means a radically different way of life. This is the contrast to be brought out through­out the reading. Notice how Paul wants to “urge” the listeners ‑ not just “tell them”. There is (literally) an urgency about his appeal. Stress the word “aimless” describing the pagans' way of life. There's almost a hint of irony in the next sentence, in the words “...unless you failed to hear him properly...” Have a think about how you will say those words. The rest of the reading is a very posi­tive appeal, balancing the old way of life with the new (renewed) way. The words “spiritual revolution” are very dramatic ‑ give them their full weight. Also stress the words “new self”, and end triumphantly on the mention of the truth. This is much more like the transcript of a speech than a written letter: look at your congregation, and do your best to allow Saint Paul to speak to them, using your mouth and voice. These are words to inspire a congregation; you, the reader, must find them inspiring yourself, so that you read with great conviction. "He who comes to me never be hungry. He who believes in me will never thirst."